At the end of January, our family adopted Olive from the Humane Society. Olive is a three or four-year-old black lab mixed with several other breeds. We don’t know a lot about her past but understand that her owner had passed away and she was trapped in a crate until she was found. When we got her, she had no hair on her tail or her behind and she absolutely refused to go into a crate. We have welcomed her completely into our family and she has become very relaxed in our home over the past few months. 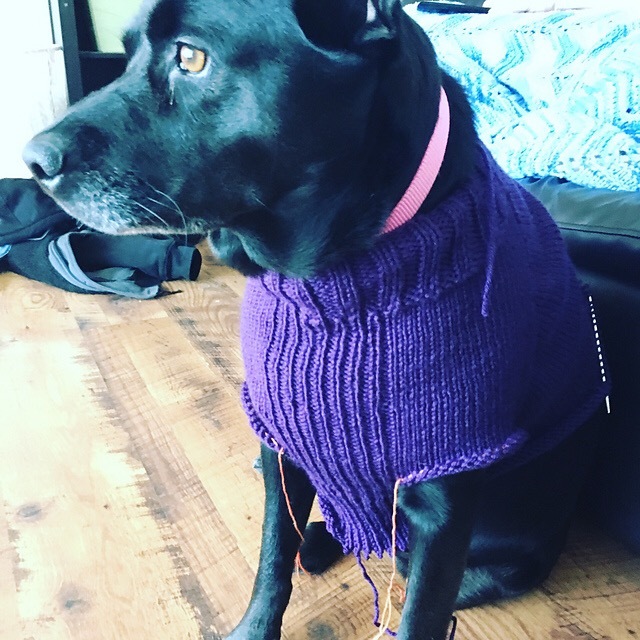 So, what do you do when you have a new dog and you are a knitter? Knit a dog sweater of course! Step 1: Choose a pattern. 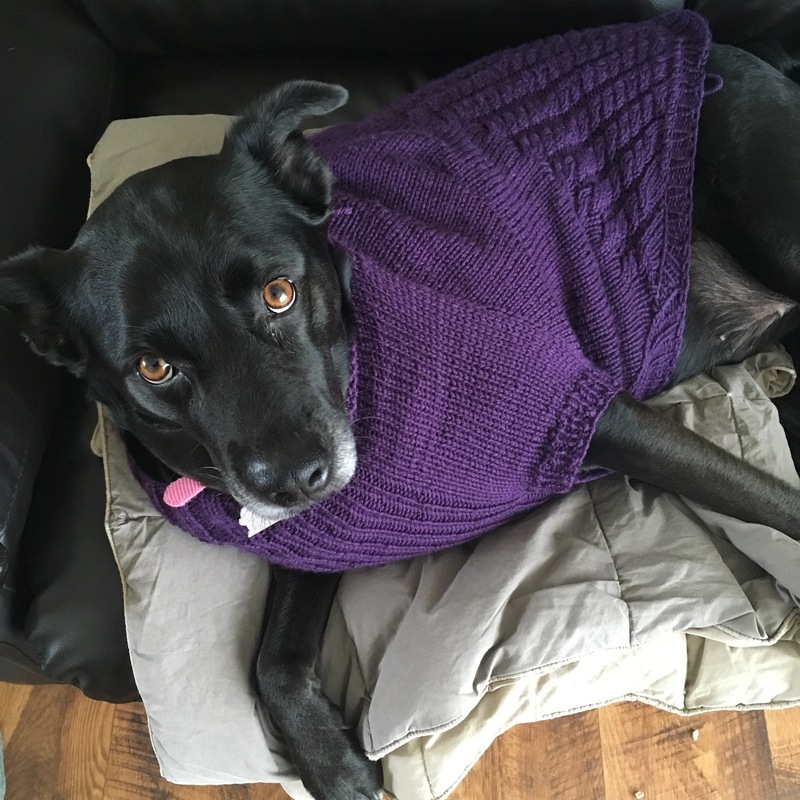 Being a mixed breed, Olive is a non-standard shape and quite broad across the shoulders so when I came across this custom fit pattern, I was very excited to give it ago: Darling Darby Sweater by Desert Rose Fibre Arts. Olive was very curious about what I was doing with the tape measure as I took her measurements! Step 2: Buy sturdy yarn (100% acrylic) and cast on. Once I reached the armholes, it was time to try on for fit. 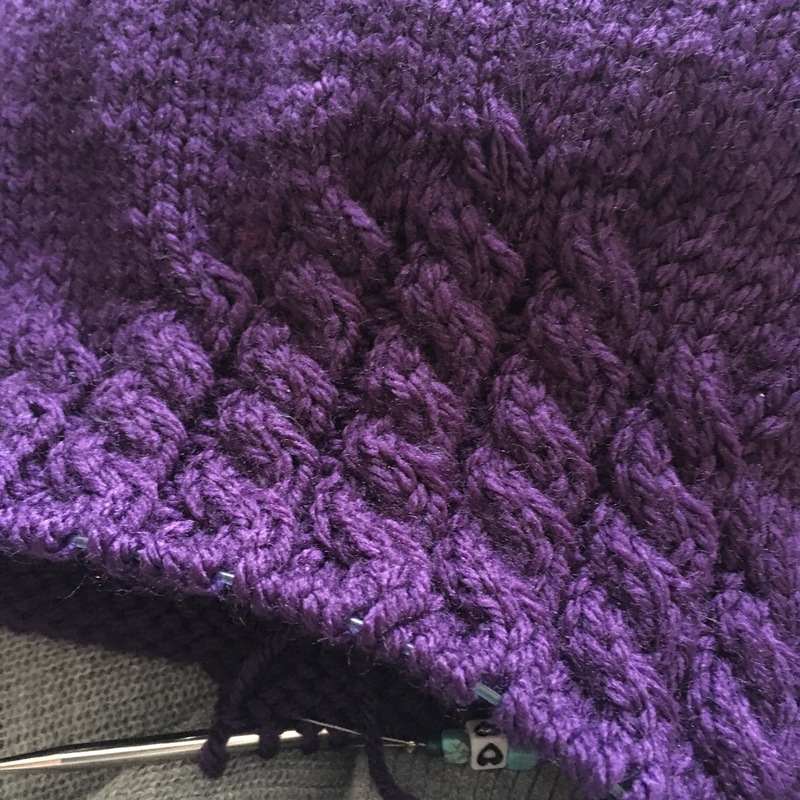 Step 3: Then, I became bored with stockinette and add in some cables for “bling” with complete disregard for gauge but my theory was she is getting slimmer so it might work to have the sweater tuck in around her waist. Step 4: Final fitting and fashion shoot. Step 5: Take the new sweater out for a spin! 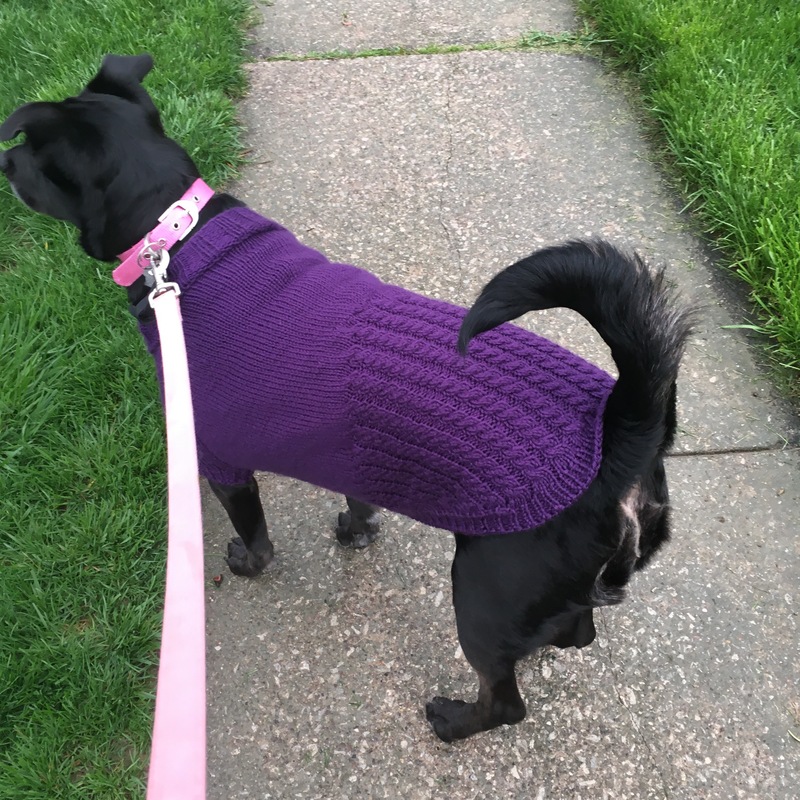 Notes to self for next time, the sweater pulls around her legs and during our walk, the neck got wider and wider. I need more room between leg and neck! But in the meantime, this will do just fine! Love the process, the colour (!!) and the model. Must pin Boris The Cat down for a measuring session so I can whip one up for him.